If otherwise in good condition, clutch judder on take-off can be improved by slowly pulling away in second (on the flat), once or twice. This rubs off any irregularities on the friction plate and improves smoothness for a while. If you have clutch judder it will only get worse UNLESS you do something about it. The cause is the very low first gear (has to be for the hills around here!). It can also be caused by weak engine mounts and play in the drivetrain - but try the solution above first. The newish clutch on my manual 1.4 is very sweet with no sign of judder however I maltreat it - so the design is OK ! Neil Gibson tells us that: Most breakdown technicians in yellow vans (AA) carry the software to reset the adaption parameters for your clutch providing it's within limits. The clutch actuator is fastened with 3 hex screws to a frame with slots in the mounting. Generally speaking a new clutch should have the actuator mounted as far down the slots as it will go. Worn clutches should be mounted nearer the start of the slots. If the clutch is where the ecu expects it to be gear changes will be smoother and faster. and another similar thread: Neil Gibson: worn out clutch? Pay £50 for a clutch kit off eBay. Clutch actuator change NOT needed. Electronic configuration is not needed. Make no mistake this is no more difficult than a standard clutch change. Don't be put off. Providing it's within parameters (basically there is free play when the actuator is at rest so it doesn't "ride" the clutch) the adjustment is automatic. I haven't once had to realign readjust reconfigure reinitialise reset anything. People get so mesmerised by the electronics they stop using their common sense. You don't need an ecu to tell you all is well. Just drive it and make up your own mind. The owner had a complete clutch kit fitted (plate, cover and thrust bearing) which is always good policy once they are apart. it would not be unreasonable to replace a clutch at 60,000 miles in urban use though there are remarkably few recorded so far. 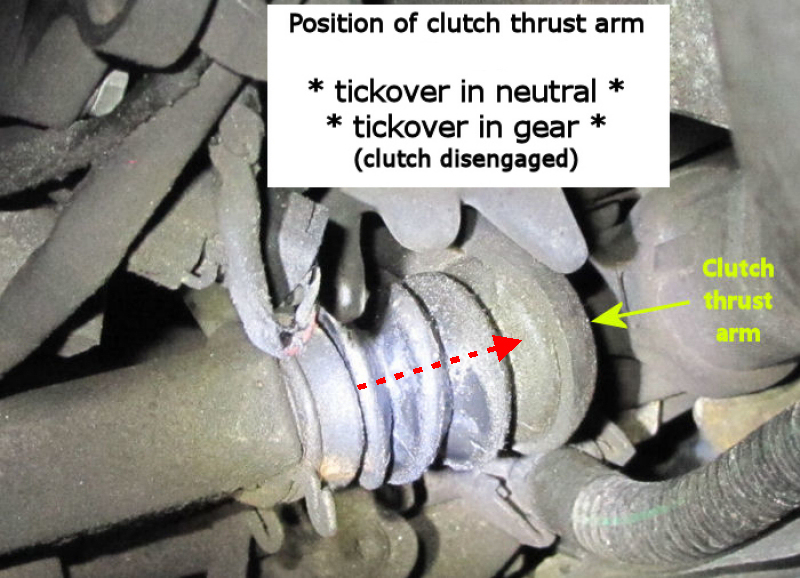 Normally clutches will start to slip when they wear out so the noises when it failed were probably due to the clutch actuator having reached the limit of its travel and repeatedly "trying again"
Apart from wear, another cause of clutch slip could be oil on the clutch plate from a leaking gearbox seal. The bearing is internal and needs a gearbox strip down to replace it. The seal is external and includes the release bearing guide. It is often changed at the same time as the clutch. Check for lateral play on the input shaft before committing to opening the box up. Worn bearings usually sound a bit noisy and allow the shaft to spin off centre to the seal causing a leak. Or the seal has just failed. 1007's have always been different! his Pug was complaining of gearbox faults and was needing a full restart to get drive back. It finally failed catastrophically with no drive but could select gears. After taking it to the only garage he could trust he confirmed his suspicions that the clutch was in fact completely destroyed. After replacing the clutch he manually reset the original actuator a total of 3 times (rather him than me). Following that he confirmed the actuator was moving but not reaching the extreme points which will cause issues with a new clutch. 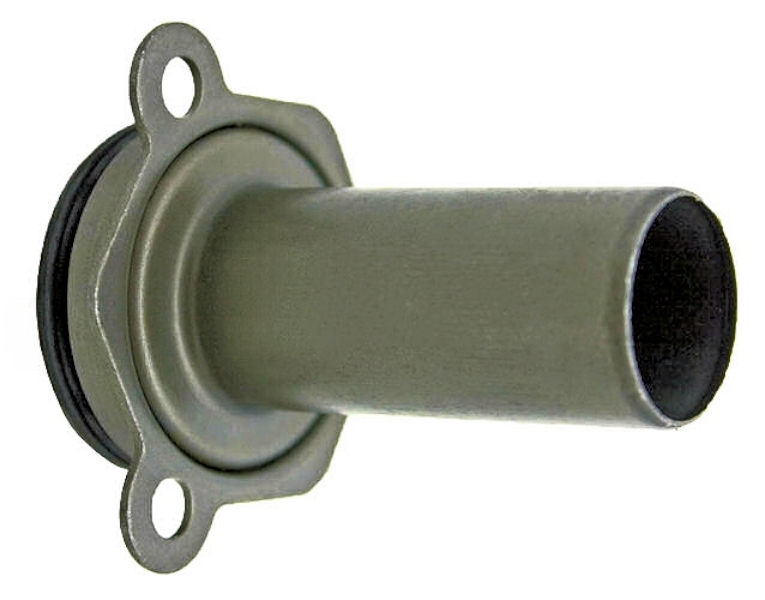 Peugeot will sell a new actuator for £445. After finally receiving the Sachs part (Part #3981000089) via ebay for £195, it has been fitted and the garage has confirmed the car is back fully functioning. Final bill including part supplied: £711 made up of £195 paid for Actuator; £420 for Clutch kit supplied and fitted and £96 for Actuator fitting. Thinking back a few years, I had heard a few nightmare stories about auto gearboxes fitted to the new small Citroens, firstly it was tales of having to replace the gearbox, along with the clutch actuator and gearbox ecu, and its still got the same problem (the nature of which was never very clear). There were also many cases of the engine being impossible to start, in fact at Euro Car Care we dealt with quite a few cars which had been recovered to us with suspect battery problems, batteries had gone flat and then the car wouldn't start- we would then do a diag check on the gearbox ecu to find a 'power latch fault' indicating some kind of voltage related fault causing the transmission to prohibit engine starting, may be because the transmission has somehow lost its programming. The battery would then be replaced and we would re-initialise the gearbox / clutch actuators and the car would start. 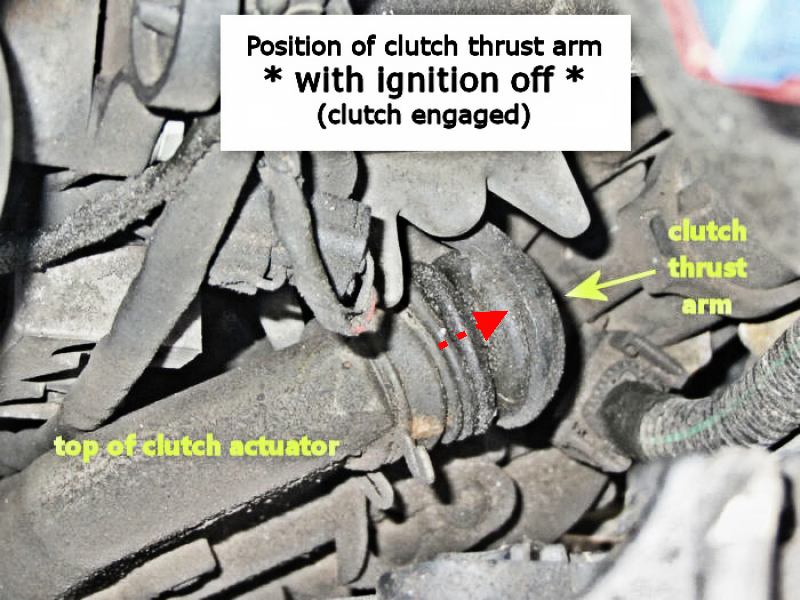 We then started seeing a few actual clutch actuator failures, although they were not always attached to the car - they were brought to us by other garages who had replaced clutches or had recovered broken down cars and removed the clutch actuator as a possible reason for the car getting stuck in gear or impossible to engage a gear. We stripped down these actuators and found the mechanical adjuster inside the actuator had broken, these adjusters were repaired where possible and fitted back to the car. I have seen only one clutch actuator which had an electrical fault and this had a burnt out electric motor (which can be separated from the actuator), which we replaced from another failed actuator, and one case of input shaft bearing failure of the gearbox. Around 2005 the software in the gearbox ecu was updated and this dealt with some driveability problems but mostly allowed the gearbox to remain in 'auto' mode after manually changing gear (the earlier system reverted to manual mode if the 'flappy-paddles' were used). This software can be installed in the earlier cars and this update sometimes seemed to cure clutch faults for a while. Note: I think ALL 1007's will have this updated software. Fast forward to today - how do we approach suspect problems with senso-drive gearboxes? Well, in at least 90% of cases, the symptoms are caused by a worn out clutch. It is quite surprising how the life of the clutch plate can vary so greatly, we find worn out clutches at as little as 30,000 miles and I feel that an average clutch will last between 50,000 and 80,000 miles. Experience has taught us that interrogation of the customer and listening to the description of their symptoms is the best way to diagnose gearbox problems. It has also taught us that there is no temporary or cheap cure. If an intermittent fault occurs which appears to be related to the clutch / gearbox, it will not be a one off, the fault will return unless something is replaced, and usually it will be both the clutch and the clutch actuator, unless you want your customer to lose faith in your competence. The actuator may be re-usable but it is impossible to know without re-fitting and testing for some extended time, the labour time for replacing the actuator alone is 2.5 hours which is included in the time for replacing the clutch so it makes sense to replace it while the clutch is replaced. It appears that the clutch actuator self adjusting mechanism will not always continue to work after it has adjusted to a worn clutch then re-set for the new one. We always do a diagnostic check and record any fault codes and test drive the car before estimating the repair (its never safe to assume anything), you can sometimes get the feel that the clutch is not responding as it should and its worth listening to the transmission for clutch bearing / gearbox noise. The usual recommendation is to replace the clutch assembly and clutch actuator and this is the only way to ensure the customer will not return with a subsequent fault and is the only way we can give a warranty on the clutch or actuator.